Happy Chinese New Year! Year of the Horse! « Adafruit Industries – Makers, hackers, artists, designers and engineers! Happy Chinese New Year! Year of the Horse! Chinese New Year – Wikipedia, the free encyclopedia. Chinese New Year is an important traditional Chinese holiday celebrated on the first day of the year of the Chinese calendar. In China, it is also known as the Spring Festival, the literal translation of the modern Chinese name. Chinese New Year celebrations traditionally run from Chinese New Year’s Eve, the last day of the last month of the Chinese calendar, to the Lantern Festival on the 15th day of the first month, making the festival the longest in the Chinese calendar. Because the Chinese calendar is lunisolar, the Chinese New Year is often referred to as the “Lunar New Year”. 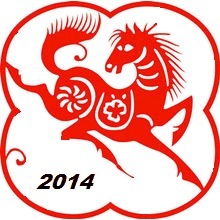 This year (2014) is Year of the 馬 Mǎ Horse. “Legend has it that in ancient times, Buddha asked all the animals to meet him on Chinese New Year. Twelve came, and Buddha named a year after each one. He announced that the people born in each animal’s year would have some of that animal’s personality. Those born in horse years are cheerful, skillful with money, perceptive, witty, talented and good with their hands.” – Infoplease. Comments Off on Happy Chinese New Year! Year of the Horse!